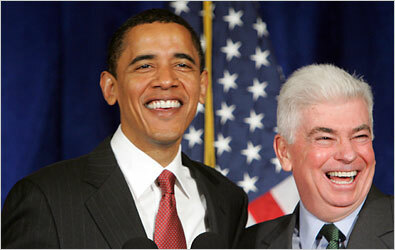 Chris Dodd Backs Barack Obama – Running Mates?? Senator Chris Dodd of Connecticut just announced he is endorsing Barack Obama. Dodd is a well-respected senior member of the Senate Committee on Foreign Relations and Chairman of the Senate Committee on Banking, Housing and Urban Affairs. They look strong together, don’t they? Chris Dodd has oodles of wisdom and experience, foreign relations and military policy expertise – and he thinks Obama is the guy! Sure would make a nice running mate for the Obama ticket. It contains biographical information (about Barack Obama) as well as useful links for donations, voting registration, etc. In addition to that, when you install this widget you will have a handy rotating display of headlines from the Obama Blog. And all of these features will also be available to all of your site’s visitors. Man I love technology like this. You can click on Menu to read about some of the things Barack has done and what he stands for. I think something like this should be a standard thing from now on for all candidates. Thanks Marion for sending me the link! Yes, J, There is a Barack Obama! I can certainly understand there are many questions about who Barack Obama really is and what he can do for us. We should absolutely ask these questions about any candidate who might be our president, no matter how long he or she has been in the public eye. What bothers me about the Krauthammer piece is that it feels like he is playing what I’ll call the cult card. Turning passion and excitement and a feeling of hope that is drawing young people to vote in record numbers into a bad thing by giving it a scary label. That’s an old political trick. Barack Obama had a great day on Super Dooper Tuesday. But there are still many who “just don’t get him”. We have so many real, in-our-face problems and we’re looking for real, immediate solutions. That’s understandable. And while Barack tells us he can get us there, he won’t capitulate by simply offering media-friendly versions of easy answers. That’s one of the reasons I like him so much. But that’s also one of the reasons he has people calling him empty-handed. People ask “What will he do for us? Words and hope can’t put food on my table.” No, and neither will easy answers that sound great in sound bytes but fall short in reality. It takes a strong, sincere person to honor that. Barack Obama has something much more important than easy answers: he is daring to ask different questions – really intelligent questions that look at problems from different angles. I’ve made a good living as a business consultant helping to change organizations and internal processes – and I am not a traditional consultant by any means. Just like Barack, I’m not afraid to try to reframe original questions to help get us to real, structural solutions. And for me, that’s what Obama offers. Solutions to complex problems do not have easy answers. And many of our problems are intertwined with other issues, not all apparent at first glance. We need someone who can pull together, inspire, and lead a team of bright, energized people who have a vision that takes into account all the pieces and all the ways they connect with each other. And we need someone who gets that if we have a solid, well-crafted larger vision, we CAN institute some solutions now and the rest in phases – interlocking solutions designed to eventually help alleviate the deeper problems. And I believe Barack gets this and will do all he can (and we can) to work for real, lasting change – not the kind that just gets you votes and applause in the short run. Politics isn’t easy. Either is change. I know that. I’ve seen solutions for change work and I’ve seen others collapse under their own weight. And often the only difference is someone at the outset forgot to ask the right questions – or challenge the long-held status quo. No matter what polls are saying. I’m not voting for a bag full of predetermined answers (although he already has a solid take on the issues and can hit the ground running). I’m voting for someone who will roll up his or her sleeves, gather together bright minds, and not be afraid to ask lots of tough questions while looking for new solutions – solutions that take in the best ideas from all sides. And for me, (although I believe Hillary Clinton can also do the job) that person is best exemplified by Barack Obama. Of that, I have no question. I’ve been struggling for weeks with who I want to vote for in today’s primary. Yup. I haven’t cast my vote yet. In fact, up to just a few minutes ago, I was still going back and forth between you and Barack. And now I finally know. It’s Barack. I think you are both incredibly talented and have a lot to offer this country. I hope no matter who wins, the other will not back off, but instead continue the fight for what you believe in. Just as I hope John Edwards and the others will. You all have important things to add to the debate and formation of policy. But, after long, hard thought about you and Barack, and each of your particular virtues and faults (or unknowns), my decision comes down to this: Hillary and Bill, you played the race card and it was ugly. And if I vote for you today, I’m telling the world I think that’s ok. It’s NOT. After Bill did his attack dog thing – and I do know that’s often the role of the spouse or someone else close to the candidate – I still supported you. I argued this is just politics. I argued he was misunderstood and the media blew it out of proportion. I even argued that the Obama campaign was making something out of nothing. I really like both you and Bill so much. But in my gut, I knew you did it. And I knew you understood what you did and carefully chose to take the chance anyway. It’s because I respect your talents and intelligence so much that I feel so sure of this. You are way too savvy to have “oopsed” into this. I am sure that you and Bill, along with your closest advisers, discussed this ahead of time, weighed all the permutations carefully (including probable backlash), and with full cognition of all its implications and interpretations still said “we’ve got to do this if we want to win.” And so you did. With the kind of hubris so many people in your situation fall prey to, you decided it was not ok (read: much more threatening for you) for Barack to be running as just a bright, caring, inspiring, extremely talented man. You wanted to push him into a box labeled black man and make sure he wasn’t creating a new box that transcends such labels. But he does for so many. Young people, for instance, who have been raised in an era of ever-increasing acceptance and ever-decreasing labels, see Barack Obama for who he is, not the color of his skin. They really get him and it’s exciting! But by forcing the black issue, after for so long being embraced by African Americans all over this country for championing their causes, you left me feeling very uncomfortable. You knew the rules and you consciously played the race card, subtly at times, not-so subtly other times. And now you’ve backed off because it came back to bite you. But I just can’t forget. Not yet. And so, even though I will gladly support either you or Barack when the historic chance comes – I think both of you could be great for this country – right now it is time for me to stand up for what I believe. It’s just not ok to play the race card. (Nor, of course, the gender card.) Not in my book. And I say that to all the candidates. So today I vote for Barack Obama. He is a talented man who has done many good things for his constituents and, I believe has a lot to offer this country and the world. He is about unity and hope and telling it like it is (even when he knows a small lie would sell the idea better.) And he is also about seeing the interlocking pieces of the bigger picture and, with that in mind, trying to do things in a truly different way for a change. Well, Hillary. That’s it…the reason I’m voting for Barack and not you. I hope you hear the sound of my vote loud and clear – all the way to the convention. And now I go vote. Update: Just voted for Barack Obama and it felt great! Whatever your beliefs, just vote for the candidate who best represents you and your hopes for this country. We can settle all the differences later if we just agree to work together…for a change.